As one of the world’s great party destinations, Ayia Napa draws people from all over the world. Pambos Napa Rocks Hotel makes for an ideal place to stay for adult only guests. 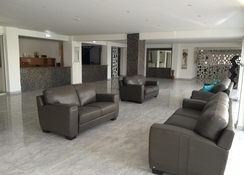 Centrally located in the heart of Ayia Napa, Pambos Napa Rocks Hotel provides easy access to the resort’s attractions, whether you’re looking to reach the beach, check out the local shopping malls, or unwind in some of the beachfront cocktail bars. The hotel is home to the famed AQUA Club, an after-party venue popular with the 18-30s crowd, so if you’re not visiting with a group you may find this venue on the loud side. 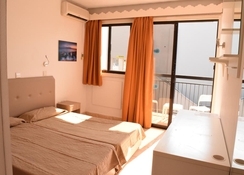 Rooms are spread across five buildings and include the recently renovated Studio Rooms - all of which come with basic facilities. 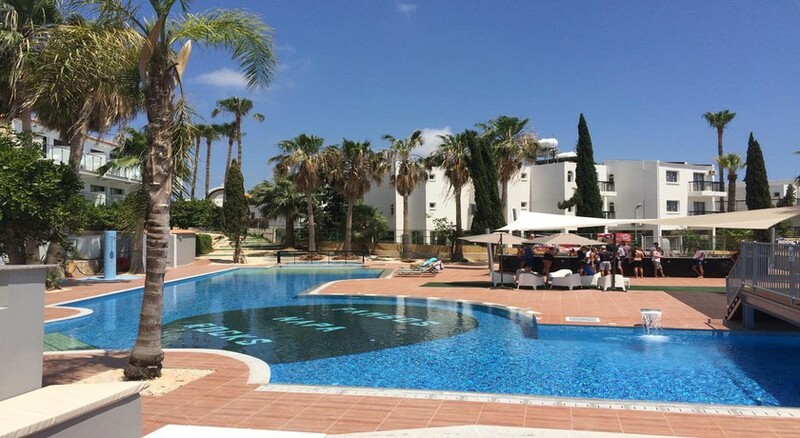 There are two swimming pools, a gym and fitness centre, sauna, games room and restaurant on-site – in addition to the lively nightclub. 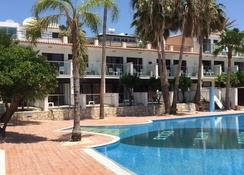 Pambos Napa Rocks Hotel is served by Larnaca Airport, which can be reached in approximately 45 minutes by taxi. The hotel is within walking distance from several of the resort’s beaches thanks to its central location, in addition to some great shops, restaurants and bars in the area. Several water parks such as Panthea Rainbow AquaPark are also available nearby. Pambos Napa Rocks Hotel has 224 rooms across five buildings. Many of the Studio Rooms have been recently renovated. 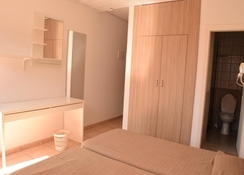 Standard Studio Rooms accommodate two guests with larger ones able to sleep four guests. Rooms typically feature single beds, however, double beds are available. All of the rooms at Pambos Napa Rocks are simple, clean and comfortable - equipped with the essential amenities you’ll need for your stay including air-conditioning, T.V, safety deposit box, modern shower with Wi-Fi available as a payable extra. There is a single restaurant on-site serving at this hotel breakfast, lunch and dinner. However, there are plenty of dining options available nearby to indulge in if you wish the explore the local fare. Gary’s Bar and Grill is an affordable spot to stop at, serving food that will suit a variety of tastes - plus it's open until late. Swing by Tony’s Taverna for an authentic taste of Cypriot cuisine. The ever-popular Hard Rock Café sees its Ayia Napa location a few minutes' walk from the hotel and makes for a great place to pick up a tasty burger. You’ll also find Italian, Japanese and Mexican all within easy reach. There are two swimming pools at the hotel, one ideal for partying and the other quieter. The pool bar is open until late so you can grab refreshments from here throughout the day. The on-site gym and fitness centre are great for those wanting to stay in shape during their visit, plus the sauna is a nice addition to relax in afterwards. Continue the party without leaving the resort when you visit the AQUA club, ideal for groups wanting to party into the early hours. 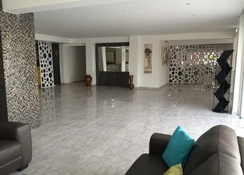 Other general facilities include sports activities and games, a coffee shop and a restaurant. In the surrounding resort you have amusement parks for entertainment; Parko Paliatso Luna Park boasts thrilling rides and games while the beaches are ideal for fun in the sun.